Thousands of runners and their supporters are arriving in the city from near and far for the 117th Boston Marathon. They’ve booked flights, made hotel reservations and registered for the race. Clearly an event this big has a large impact on the city. Just how large is the impact? 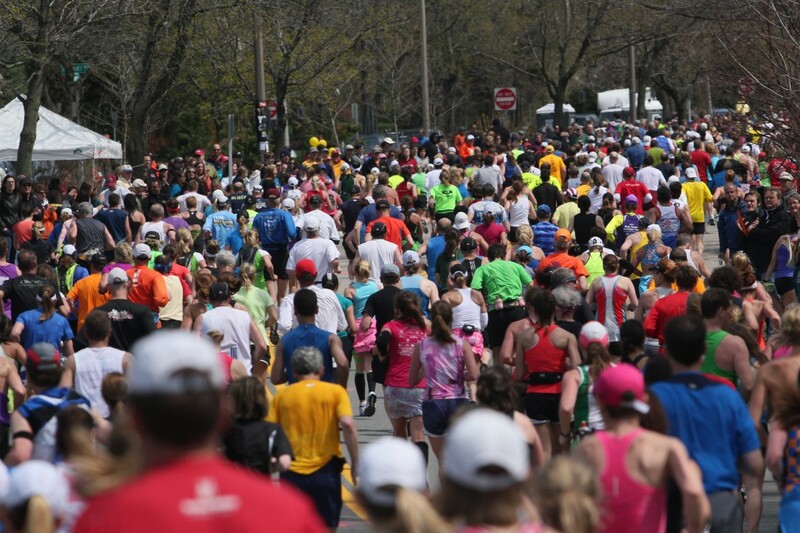 This year, the Marathon is expected to bring in $142 million to the city, according to the Greater Boston Convention and Visitors Bureau. This is a $5 million increase from the 2012 race. However, there are a lot of costs associated with running the Marathon. Expenses include public safety and crowd control, parks and recreation departments, medical resources, transportation, and administrative costs and rental fees. 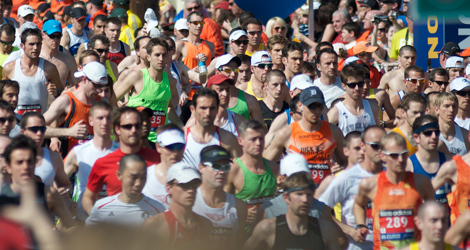 These expenses can total 80 percent of marathon costs, according to Jack Fleming, Director of Marketing and Communications for the Boston Athletic Association. Most people coming to the city for the Marathon stay an average of three nights, said Kelly Allen, Sales Manager at Marathon Tours, a company that puts together packages for runners and their family and friends. Hotel rates run from $174 to $410 a night. Currently, they’re all booked. Boston businesses feel the influx of tourists in the city around the marathon. City Sports on Boylston Street, right near the finish line, sees heavy traffic in the store in the weekend leading up to the race. “We open early, and close late,” said Kristy McLean, store manager at City Sports. The Sunday before the marathon sees more customers than any day during the holiday season, she said. What about the eight communities that the Marathon runs through? Over the next three years, they’ll be receiving $2.7 million. “Through the support of principal sponsor John Hancock Financial, the [Boston Athletic Association] makes this contribution in recognition and appreciation of successful cooperation with the Marathon communities in hosting the world’s most prestigious annual marathon,” a press release from the B.A.A. notes. John Hancock Financial isn’t only giving out money to the communities. The top finishers will be the recipients of $806,000, according to a B.A.A press release. An additional $220,000 in bonuses will be distributed if participants break records in the open, masters, or push rim wheelchair divisions, according to bostonmarathonmediaguide.com. Runners pay an entry fee of $150, however, the B.A.A. understands that runners and supporters also are “looking forward to coming to Boston for the first time to experience all that we have here,” Fleming said. Officially registered marathon participants will receive the Runner Passport(TM.) This includes tourist supplies such as maps and visitor suggestions to guide them around the city. “Most importantly, the booklet includes the number pick-up card,” the B.A.A press release said. Boston Marathon 2013, Proudly powered by WordPress.